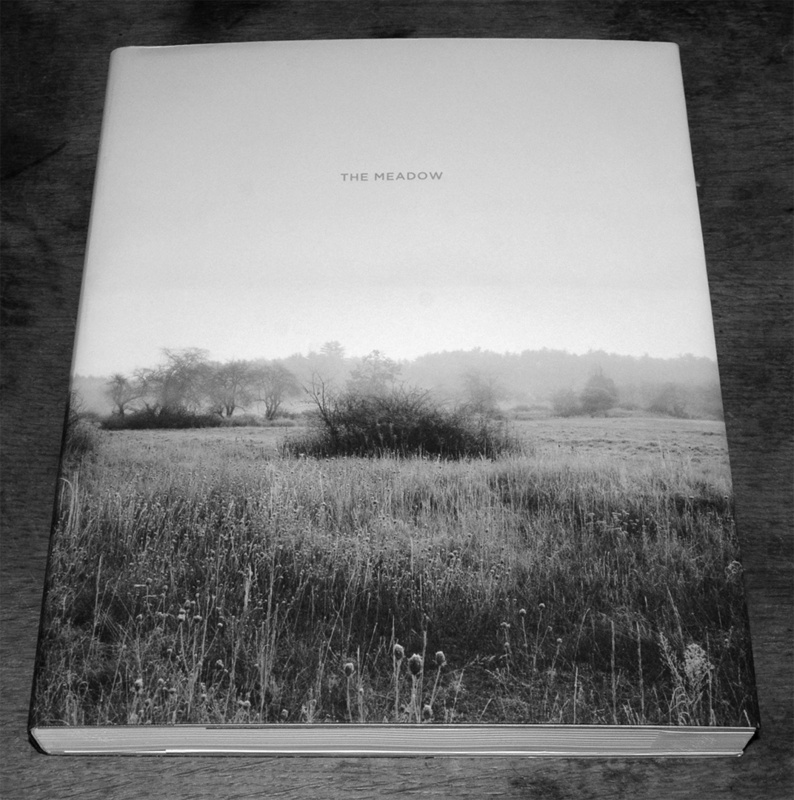 The Meadow is a book by Barbara Bosworth & Margot Anne Kelley, published by Radio Books, which is part photographic exploration/documentation, part journal and part scientific study. 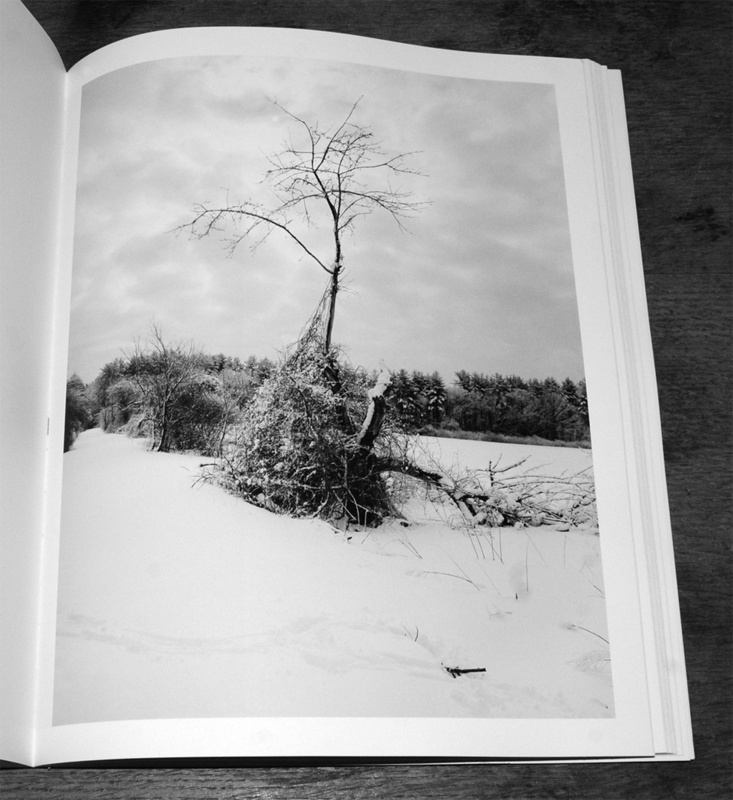 The two authors have been wandering, studying and photographing the same single meadow in Carlisle, Massachusets for more than a decade and the book is a collection of the resulting work. 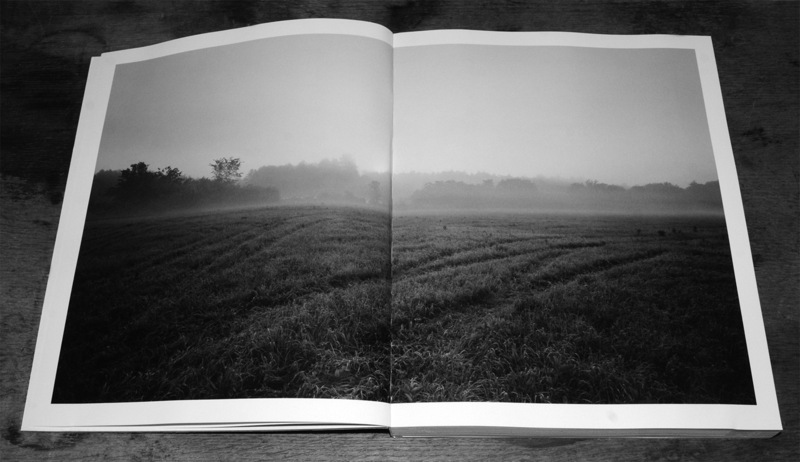 There is a reflective, thoughtful calm to the photographs of the meadow, with them seeming to reflect the unhurried character of this space and the sense of the book being the result of the authors both (to quote the publishers) “meandering” and studying this one place over an extended period of time. Accompanying Barbara Bosworth’s photographs are a number of text pieces by Margot Anne Kelly, many of which provide a fascinating insight into the meadow and the nature that has made its home there. This includes explaining how different species of fireflies co-exist relatively peacefully in the same areas by dividing time and space, which they do by flying at different heights, times of the day etc and also that the lichens which you may find on stones are actually a symbiotic co-operation of fungus and algae rather than being just one plant – and even through millions of years of evolution they have remained separate but connected species. One of the things that struck me on perusing the book was just how few animals there are in the photographs – a bird appears just once and there are some photographs with glowing specks that are actually those just mentioned fireflies, although you would not necessarily realise that without reading the accompanying text. That may well reflect the reality of wandering through such fields – apart from if they contain livestock, animals are generally hidden from view, with possibly (in the fields I’m used to wandering through) just the occasional flash of say a hare or rabbit off in the distance and even the noises that you may hear will generally largely only be those of birds. 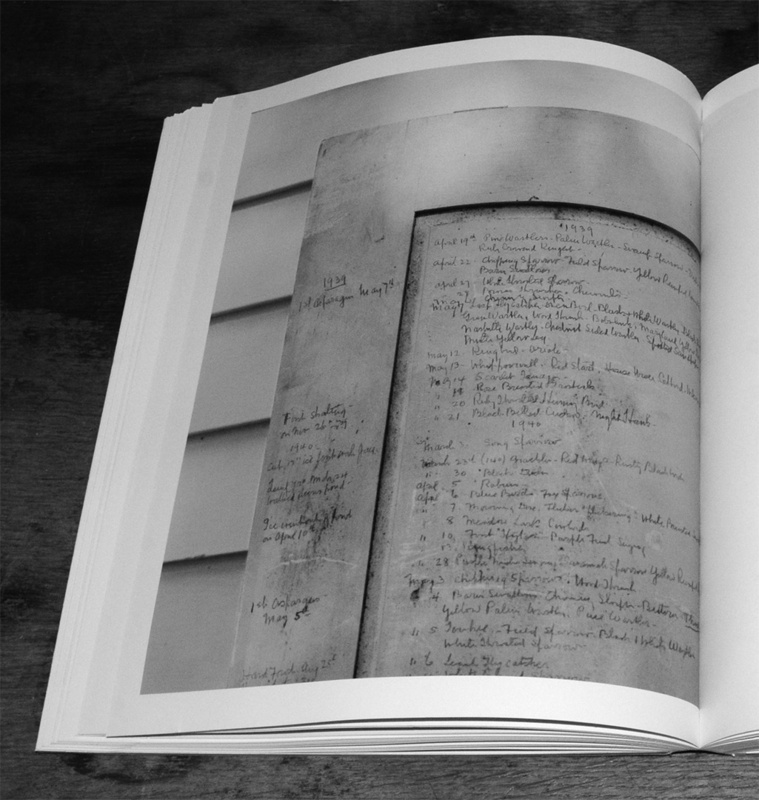 A fascinating aspect of the book are the Bird Doors, which date from the 1930s onwards and which document the details of birds visiting the meadow etc. 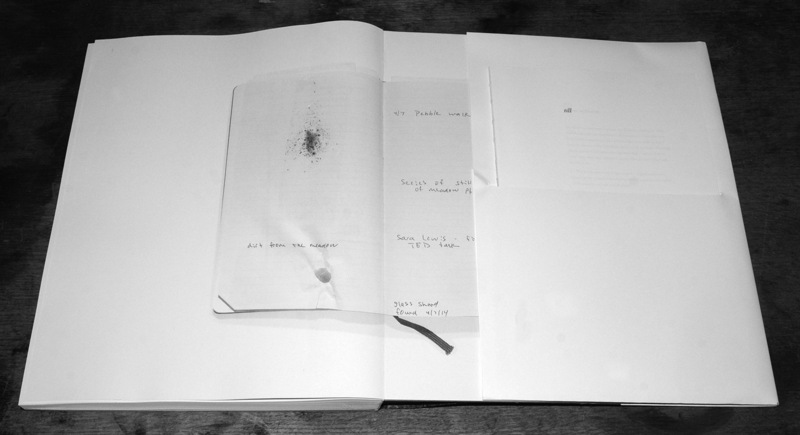 The book is somewhat sumptuously and beautifully produced with inserts, a de-embossed inner cover, foldouts, separately printed and bound sections and so forth. A labour of love in a number of ways I expect. 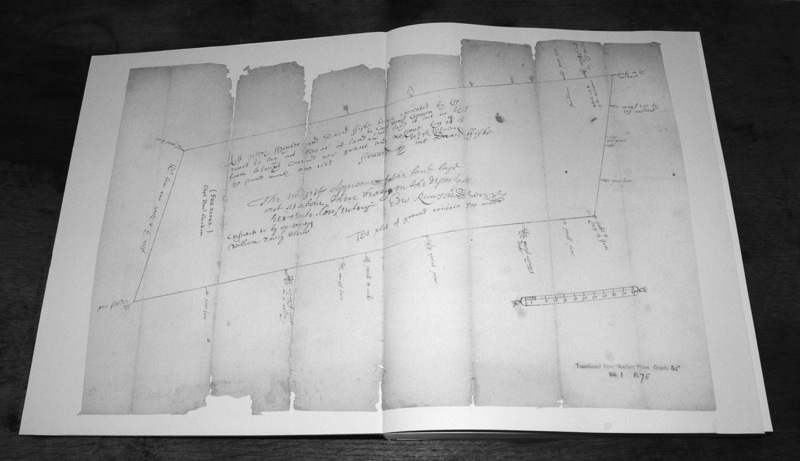 The Meadow is well worth a perusal, particularly for the way in which it interlinks and interweaves an expressive exploration of one particular meadow with the rigour of scientific study, albeit a form of study which in keeping with the character of the project still retains a literary, creative character.